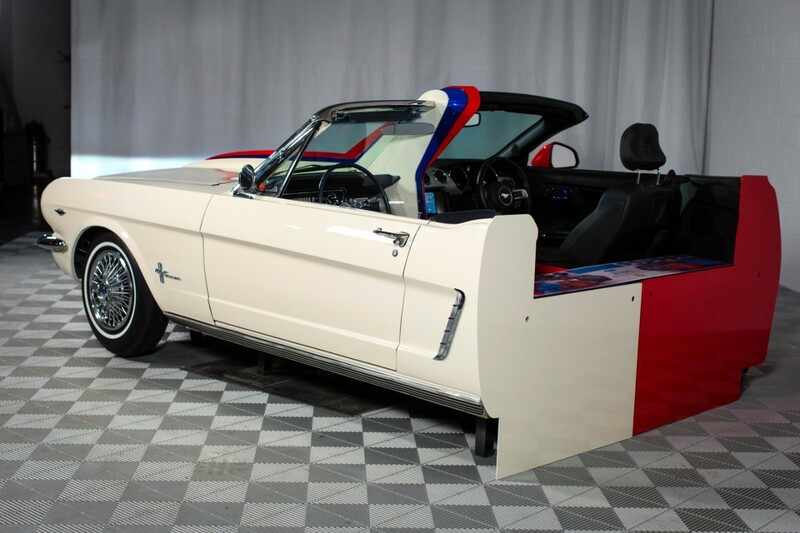 Ford Motor Company is commemorating 50 years of its Ford Mustang car with a split display of the very first generation Mustang and the latest model at the National Inventors Hall of Fame and Museum in VA, US. 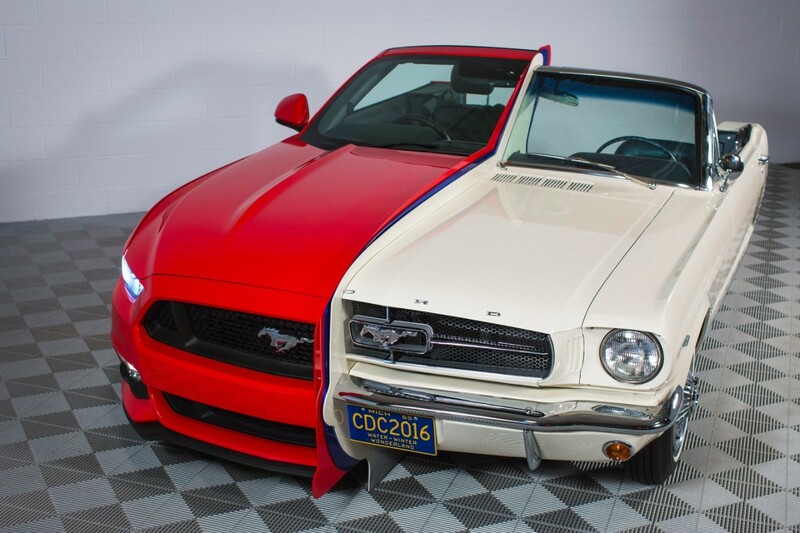 The first generation Ford Mustang is considered as America’s cultural icon. It has been loved and cherished ever since it was first showcased in the mid-1960s. 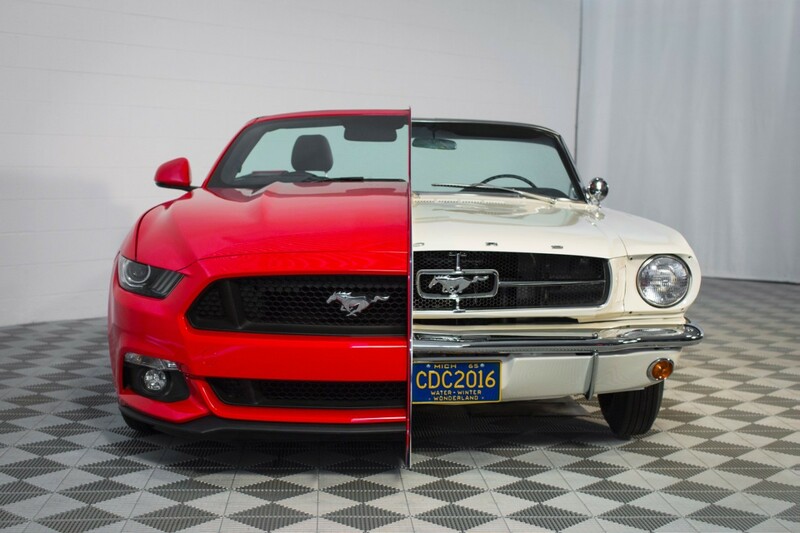 The production of first generation Mustang crossed 1 million marks in just 18 months. 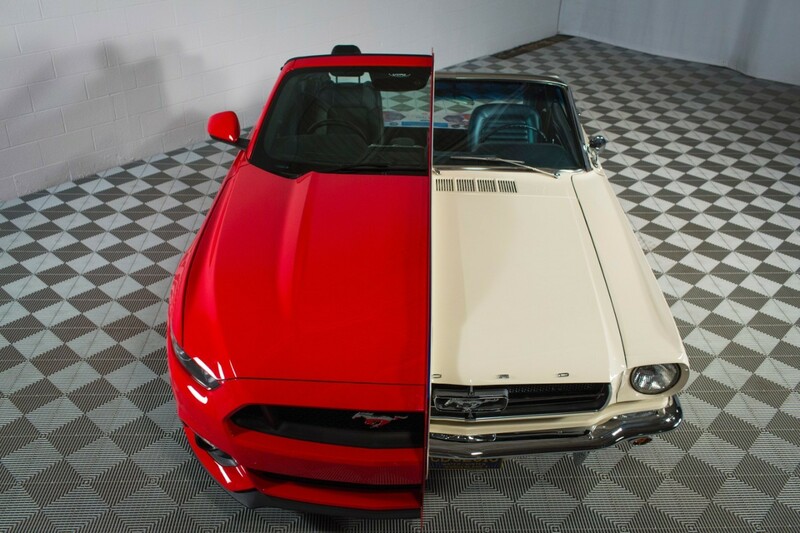 It was the birth of the ‘pony car’ segment. 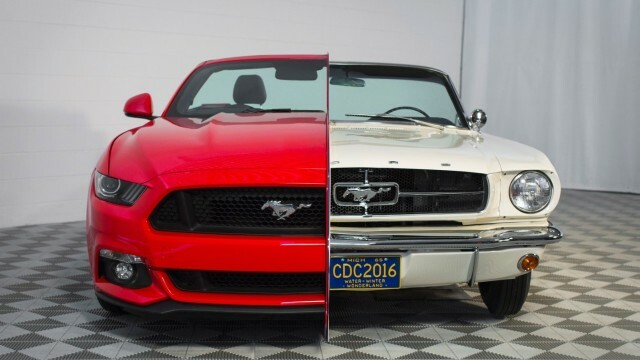 The one-half of the split display is a reproduction 1965 Mustang and the other half is a 2015 Mustang. One of the aims of the display is to showcase the patents that fuelled the innovation and ingenuity of Ford engineers and designers. 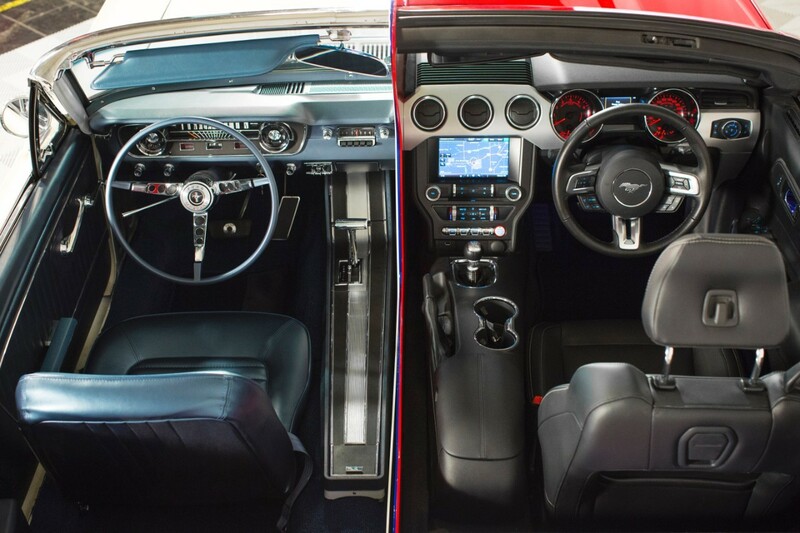 The display shows both old and new Ford patents, like the rear-seat speaker and power convertible roof on the ’65 Mustang. 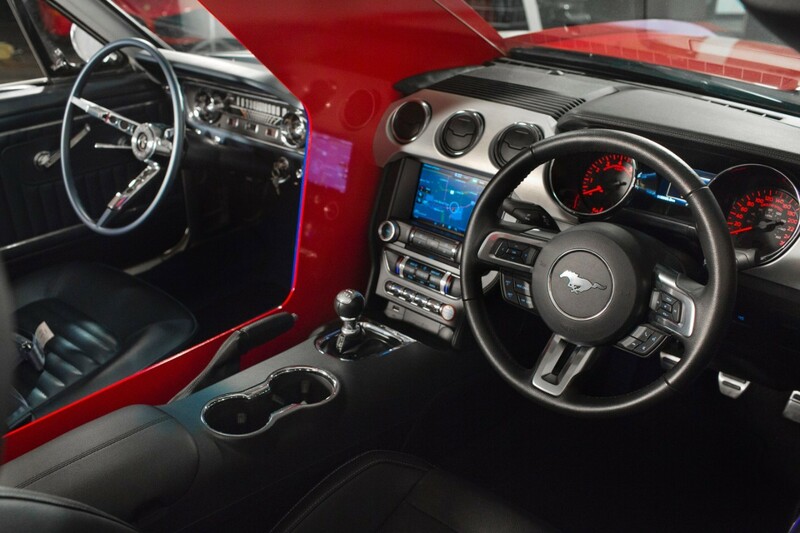 And the newer Mustang showcases airbag structures and 911 assist. And to enhance the experience of the visitors, they will be allowed to sit in the split cars and hear both old and new Ford V8 engines at idle. Henry Ford, the founder of Ford Motors, is also being featured as part of the Mustang festivities for his contributions to automotive innovation. The old one is automatic while the new one is manual. Interesting observation.